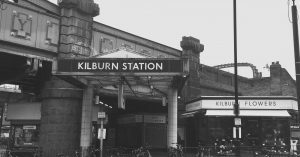 Are you seeking for auditors in Kilburn? Accountancy services are mandatory for legal requirements. Apart from that, most of the business organization seeking advice for various kind of accountancy issues or investment issues. We have to power and resources to help you out with all kind of accounting needs. Miranda Management and Accountancy Services Limited offering you audits, tax advice, VAT, employee payroll, accounts statements, profit and loss statement, budgeting, forecasting, investment planning and many more. Accounting statements are authorized statements of an organization which represents the company. We are an accountancy firm based in Kilburn, London providing a range of accountancy services from company formation to Tax and VAT compliances and advice. We are also able to offer advance tax services, complex accounting services. Those who have large size business and want to minimize the taxes according to the law then you are on the right side. Our accountants in Kilburn can help you out with the basic and advance solutions. We are also providing a customized solution as per your requirement. Our specialists are working day and night to meet your expectation. For us, our client is our asset. We believe that if you grow then we grow. Our aim is to help the small organizations to grow and assist the large organization to solve their complex accounting issues. So, just feel free to get in touch with us. And ask anything related to your business accounting to us. Our accountants are always ready to help you.